Lying during the hiring process can destroy your chances of ever being hired with that employer – and it’s easier to be caught than you might think. 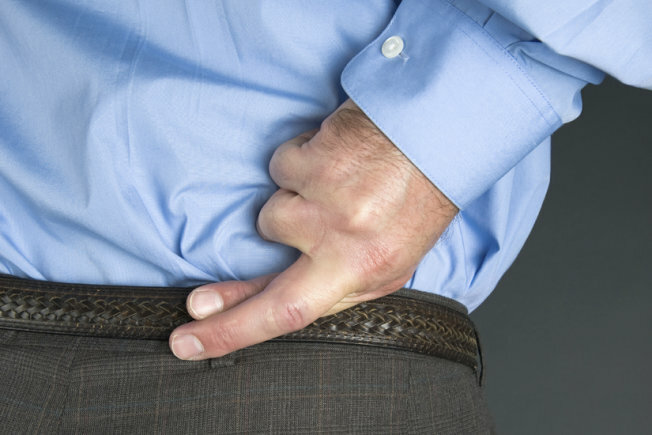 Here are four particularly disastrous consequences you might face if you lie in an interview. If you lie about what experience you have, you’ll likely be caught in a lie, because your interviewer will probe into those details. If you feel you need to lie to impress your interviewer, the thing you’re lying about is likely pretty important. (After all, you’re presumably not going to lie about something insignificant. What would be the point?) That means your interviewer will likely have follow-up questions, and there’s a good chance you’re going to find yourself in a situation where you’re having to build on the lie, spin more details and generally weave a more complicated web. And if your interviewer is reasonably savvy, your story isn’t going to sound quite credible to him or her. Or your lack of familiarity with what you’re discussing will come through. Even if your interviewer isn’t able to conclude for sure that you’re lying, raising these sorts of doubts isn’t exactly helpful when you’re trying to be impressive. In most cases, you’re going to be a lot more impressive by just owning up to areas where you might not have the perfect experience. If you lie about your salary in the hopes of getting a higher offer, you risk being found out through a salary verification process. Job searchers are well aware that when some companies ask about their salary histories, it’s because they plan to base salary offers on the answers. That leads some people to conclude that they can simply lie about their earning history as a way to prompt a higher offer from a new employer. The problem? Employers that handle salary negotiations this way will often verify the salary information you provide – and if they find out that you lied, they’ll nearly always yank the offer. What’s more, they sometimes don’t bother to do this verification until after you’ve accepted the offer, and sometimes not until after you’ve already resigned your current job. That means that when they discover the lie and pull your offer, you could be left with no job at all. Rather than lie to gain an edge in salary negotiation, it’s far smarter to take your salary history off the table altogether and focus on what salary you’re seeking now. If you lie about anything in a job interview, it can come out when the employer talks to your references. Tempted to say that you weren’t really fired from your last job but instead were laid off or resigned voluntarily? Reference checkers regularly ask about the circumstances surrounding your departure from the job, which means that lie will fall apart minutes into the average reference call. Tempted to misrepresent your job title or your accomplishments or responsibilities? Reference checkers will verify those details too, and significant discrepancies here can torpedo your chances. In general, assume that employers aren’t going to simply take you at your word when it comes to key elements of your candidacy. They’re going to verify them with people who will be in a position to either back you up or expose any falsehoods or exaggerations. If you somehow get away with lying in an interview, you risk ending up in a job you’ll be fired from. If you lie in an interview process and don’t get caught, you might be thinking you’re home free. However, you’ll face an even more serious consequence than just losing a job offer: Now you’re in a job you’ve lied your way into. That means you don’t have the qualifications the employer was seeking, so you might land in a job you can’t do well. You might struggle to excel and might even get fired. You’re far better off being up front and candid with employers about your qualifications. Let the screening process work the way it’s supposed to, by moving you toward jobs you’d excel at and away from jobs you’d struggle with. After all, it’s a lot better to lose out on the job at the interview stage than to get fired later on.